How to create additional FTP accounts for websites on VestaCP and allow multiple users to manage your files. If you want to allow additional users to manage the files of your website, you can create additional FTP accounts through VestaCP to grant them access. You will also be able to restrict the directory each user has access to. Log in to your VestaCP account and navigate to the Web section. From here, click on the Edit button for the website which you want to add an additional FTP account. 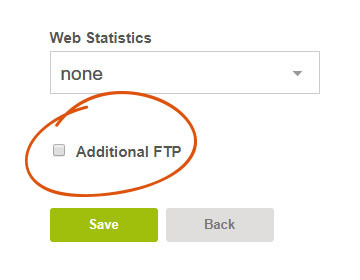 Scroll down and check the Additional FTP checkbox. You can now enter the details of the new FTP account you want to create. 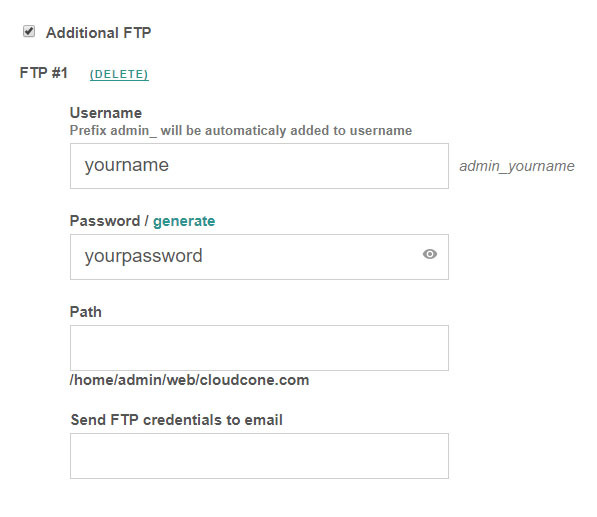 If you want to further restrict access of the FTP account to a specific directory, you can enter it as the Path. Please note that a prefix will be added in front of the username. After you have entered the details, you can either add another FTP account, or save your changes.